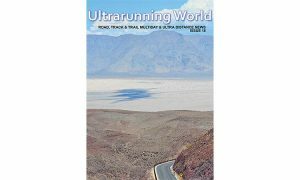 Welsh ultrarunner Lowri Morgan is set to take on one of the toughest events on the ultramarathon calendar, the 6633 Ultra – a non stop self sufficient foot race over a distance of 350 miles in a frozen world where average daily temperatures are -25 in March. S4C will be following Lowri’s progress as she takes on this challenge of a lifetime. Lowri Morgan is fearless. She craves new and exciting challenges. Extreme challenges that most of us wouldn’t even think of doing. Competing against herself and pushing her own boundaries are factors on which Lowri thrives. Now, eighteen months after completing the Jungle Marathon in the Amazon, the television presenter from Gowerton, near Swansea, is ready to tackle a new challenge. This time, she faces eight days and 350 miles in severe Arctic conditions for the 6633 Ultra. Only six people have ever finished the race so Lowri will need to push herself to the limit as she prepares for the endurance challenge of a lifetime. Not only will she face a race against time, she’ll battle the conditions and her own personal demons along the way. Lowri’s rigorous training regime and the race itself will be documented in Ras yn Erbyn Amser (Race against Time), which is broadcast on S4C from Thursday 24 March. She’s no stranger to tough challenges. In the past, adventure-loving Lowri has represented Wales on the rugby field, competed in numerous marathons worldwide and completed the illustrious Ironman Challenge. She’s even dived down to the remains of the Titanic in a submersible. But whereas most of us would run a mile if we were faced with these extreme tests of strength, stamina and mental ability, why does Lowri continue to push herself to the limit? “Funnily enough, that’s the first question everyone asks me,” laughs Lowri, 36. “I don’t think people can quite understand why I do what I do. I was brought up to grab life with both hands. From an early age I was encouraged to learn about the world, to work hard and take risks to see what I could achieve. During her Arctic challenge, Lowri will battle against the sub zero temperatures of around -30?C to -40?C. In recent years, temperatures have even plummeted to a whopping -98?C. In a bid to acclimatise with the conditions, Lowri’s trained intensively over the past twelve months. She’s experienced the freezing temperatures of Sweden and trained inside a freezer in Castell Howell, not to mention running distances of over 120 miles per week and getting accustomed with the kit she’ll be using en route. “Excitement was the first thing that went through my mind once the challenge was set. But I hadn’t realised the true extent of the challenge and what was ahead of me. This isn’t a competitive race for me but a personal challenge. I’m not looking to break any records or compete against others. I just want to push my physical and emotional limits and see how far I can go,” adds the presenter. A mammoth task lies ahead. With an average of 45 miles to cover per 24 hours, Lowri will endure the biggest challenge of her life. A number of difficulties await her along the route. 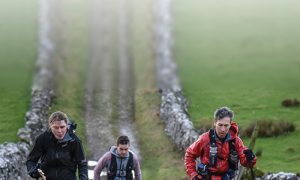 Boredom, frostbite and frostnip, blisters, wild animals, dehydration and the infamous ‘hurricane alley’ are all factors not to be taken lightly. Hurricane alley has seen many competitors drop out of the race because of the freezing gusts of wind along James Creek. Lowri will be hoping that her six layers of clothes will be enough to keep her warm to carry on. To top it all off, she will also be pulling fifty pounds worth of equipment along the course. Her pulk (the sledge she will pull along the way) will carry a sleeping bag, extra clothing, water, food supplies and other essentials needed during the eight days. Yes, the race requires competitors to be completely self-sufficient. Her support system back home has been flawless and very patient, according to Lowri. Her husband, parents and brother have witnessed first hand the ups-and-downs of an ultra marathon runner. Husband Sion, whom Lowri wed in 2010, has taken an active role in her training by occasionally joining her along long-distance running routes. 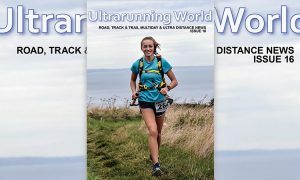 The 6633 Ultra has taken over Lowri’s life for more than a year. Intense training has seen her often visit her parents for supper after running from her home in Cardiff to Swansea, a total of twelve hours of running and over two marathons. And then run back to Cardiff later that evening. But fitness plays only a small role in the Arctic Ultra Marathon. Mental attitude is crucial because Lowri will be spending long hours alone during the race. The equipment is also important in ensuring her success – and survival. Ahead of the race and the increase in pressure, what are Lowri’s final thoughts about what she is about to face? “I’m worried that my body will close down mid-way through the race and the distance will get the better of me. Worried that I won’t be able to deal with the pain and conditions. Worried I haven’t prepared enough and that one small mistake could prove costly. In the past, people have lost fingers and toes. Even dropping a glove on the snow for a split second could have serious consequences.